Washington’s war on terror is a war OF terror on humanity, largely responsible for exponentially rising incidents worldwide. 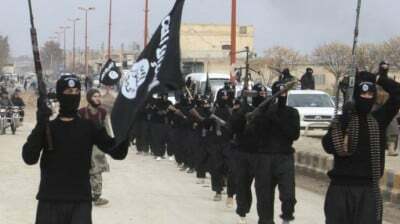 The Global Terrorism Index (GTI) recorded around 18,000 in 2013, up 60% over the previous year – holding ISIS, Al Qaeda, Boko Haram in Nigeria and the Taliban most responsible. All are US creations. Washington’s so-called war to defeat terrorism increased it exponentially, what lunatics in Washington intended. GTI reported 3,361 incidents in 2000, up dramatically to 11,133 in 2012 and 17,958 in 2013, likely 20,000 or more when final 2015 figures are published. US imperialism bears full responsibility for the exponentially rising numbers. As long as US direct and proxy wars rage, expect terrorist incidents to keep rising annually. In 2013, 80% of terrorist fatalities occurred in Afghanistan, Iraq, Syria, Pakistan and Nigeria, said GTI. The Homeland Security-funded University of Maryland’s National Consortium for the Study of Terrorism and Responses to Terrorism (START) publishes a Global Terrorism Database (GTD), beginning with the 9/11 attacks, its figures differing somewhat from GTI’s. Saying since George Bush declared “war on terror” post-9/11, global terrorists attacks increased ninefold – from 1,882 in 2001 to 16,818 in 2014. It names the same five countries as GTI, accounting for 80% of the incidents, it said. These indexes and similar reports exclude what’s most important to know. Wars are acts of state terrorism. What’s absent from the above numbers are the millions of fatalities they cause, post-9/11 alone – from violence, diseases, starvation and overall deprivation. America is an unparalleled state terrorist, responsible for more willfully caused deaths in its history than any other rogue state by far, greatly exceeding the most notorious regimes. Its killing machine keeps operating unrestrained, waging endless wars on humanity at home and abroad.